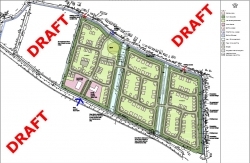 NSC has supported its Local Plan policies and refused outline permission for 200 houses in Bleadon (see previous blog). The developer may yet take this to appeal at which point all those that commented should be informed by NSC in due course and their comments sent to the Planning Inspector. NSC's reasons for refusal as stated in the Decison Notice (PDFcopy), and the Officer's Report (PDFcopy). Research previous appeals and Planning Inspector outcome reports, e.g. as seen on this BOB page. Refer to the revised NPPF and stakeholder views as indicated in the July NPPF Blog. Be aware of, and respond to, NSC's current Local Plan Consultation, which went out for consultation 3 Sept-10 Dec 2018. Athough this was not put on BPC's Sept Agenda, hopefully it will be raised and responded to in the near future. As far as BOB is aware if this goes to appeal NSC should/will defend their policies at their cost, It may all come down to NSC housing build numbers for government quota targets and Bleadon's sustainability and environmental impact, but ultimately the Planning Inspector will then decide final outcome.